PULSUS brings in a new spin on conferences by presenting the latest scientific improvements in your field. Listen to motivating keynotes from thought leaders, or rub elbows with pioneers across the globe. 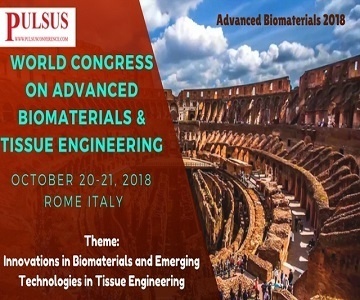 Rome all set for an amazing event as PULSUS proudly presents the World Congress on Advanced Biomaterials and Tissue Engineering. Advanced Biomaterials, are specially studied because these materials play an important part in therapeutics.